Heart disease is consistently the leading cause of death in the U.S. Learn some heart-healthy lifestyle tips in honor of American Hearth Month. Cardiac arrest comes on suddenly, when an electrical malfunction causes the heart to abruptly stop beating properly. It’s scary to see someone suddenly collapse. 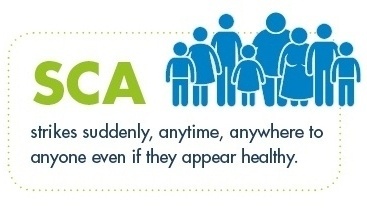 But that is exactly what happens when sudden cardiac arrest (SCA) strikes. The witness could be you. Would you know what to do? On December 30, 1963, President Lyndon B. Johnson declared February American Heart Month, recognizing that heart disease was the leading cause of death for both men and women in the U.S. Sudden cardiac arrest is the leading cause of death in the U.S. each year. Take these simple steps to ensure you’re prepared for an emergency. Learn the history behind American Heart Month.